Kulchi's website is a guideline to what we can offer our clients. We have a large selection of carpets available on the ground in Marrakech, where we ship purchases direct to our international clients. We can find you the perfect rug to meet your size requirements - send us an image of something you like, we will find you a similar piece (each carpet is unique). Our rugs are all hand made by the Berber women of Morocco - some with their own intrinsic irregularities. If you request more information or images of a particular piece please contact us via email. kulchi ships internationally using DHL (door to door service) or international freight (for larger pieces/orders). Customs and duty charges on shipments are the responsibility of the client - contact your local customs office for more information. Shipping costs are calculated on destination, weight and size. 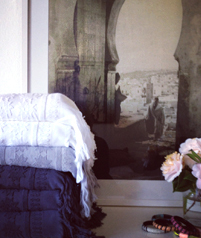 Rugs shipped from our Marrakech showroom to international clients are final sale - no refunds or returns are accepted.